The RNLI Visitor Centre on Dartmouth’s South Embankment was opened by Sarah Wollaston MP on Thursday 31 March 2016. This Centre is the first of its kind for the RNLI and will inspire and engage current and future RNLI supporters for many years to come. The aim of the RNLI has broadened beyond “Saving lives at Sea” and now the overarching theme is known as “Community lifesaving”. 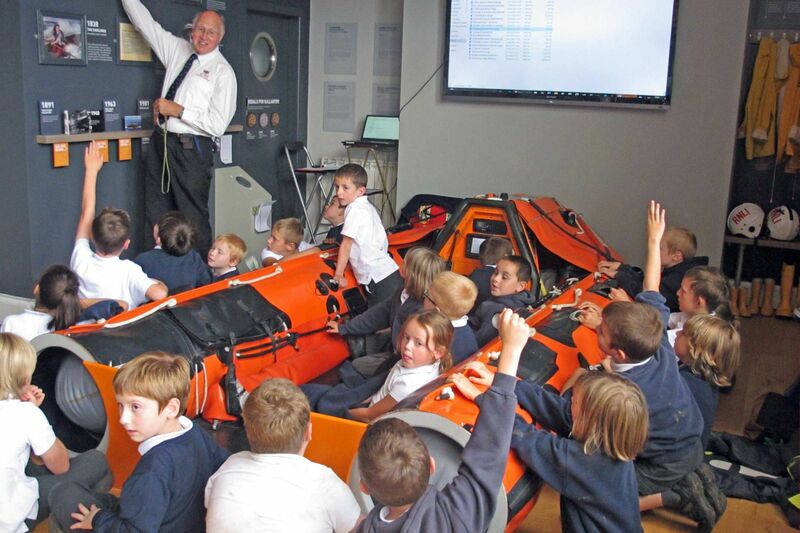 The RNLI plan to work together with local communities with its rescue services but also, by using education, supervision and support, to reduce deaths by drowning. It is this that is being piloted at the new Centre. The RNLI is trying to engage with the public and motivate them to be involved in a new way. In this Centre the story and aims of the RNLI will be told, as well as presenting the RNLI’s safety messages to all ages in an interactive way. So far Kingswear Primary School has been the only school to have organised a full school visit to the Centre. It is planned to liaise with the teachers from our other local schools and to show them just what a useful educational resource the Centre has become.